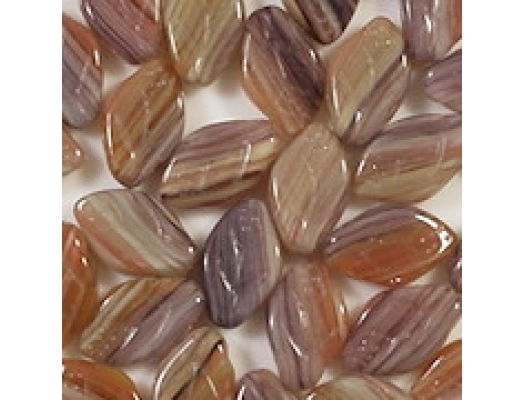 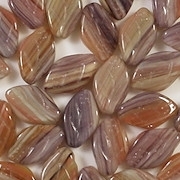 Colors/description: The beads are a mixture of dark grayish purple, burnt orange, sage green and gray in stripes. 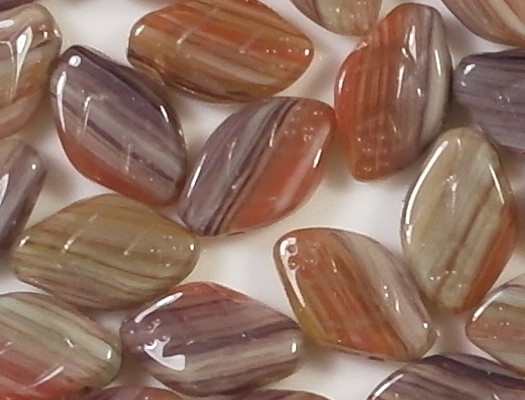 All the color is in the glass (no coatings). 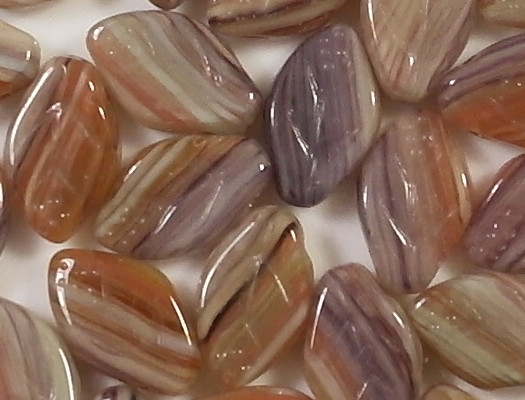 The beads are opaque. 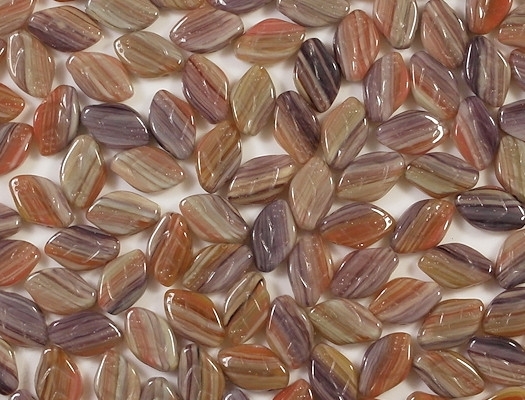 Comments: I got these beads from one of my expensive suppliers, so the price is pretty high. 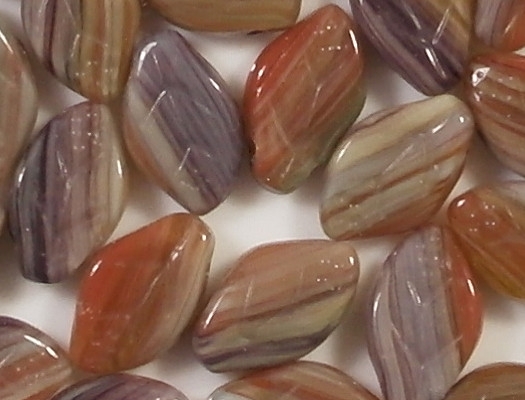 I like this mixture of colors, but the beads are a little dark.